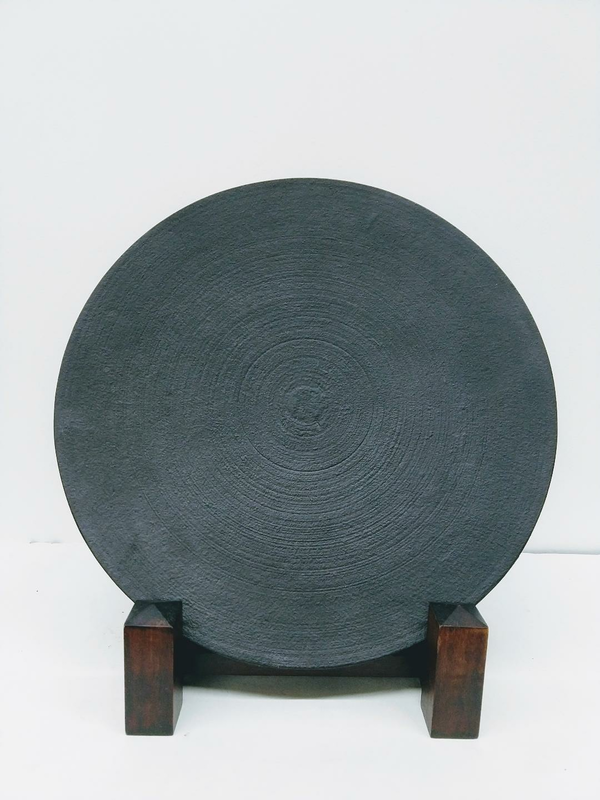 Large flat cast iron plate with 11 5/8" diameter. 7/8" in height. Wood stand sold separately, $16.00.